Many payment processors do not take on high risk businesses because they fear for their bottom line. At MerchACT, the crux of our business is to provide companies of all size, no matter the risk with fast and affordable merchant account solutions. We have worked with high risk merchants for close to 15 years and have handled billions of dollars in sales via our online payment processing solutions. IS YOUR BUSINESS HIGH RISK ? To determine whether you business is considered ‘high risk’, you must examine your operations. Businesses that operate a card-not-present, mail order or telephone enterprise are thought to be high risk. If you work with a business model that deals with a free trial followed by a recurring payment, you are considered high risk. Additionally, if your products fluctuate in volume due to seasonal revenue or the average ticket price that you offer is over $100.00, you’re running a high risk business. WHAT ARE THE BENEFITS OF A HIGH RISK MERCHANT ACCOUNT ? Besides the aforementioned benefits, working with us comes with a guarantee of honesty, accountability and transparency. There are no application and set up fees and we have a long standing of quality within the industry. Our name is known throughout the world and we have helped high risk businesses of all sizes establish a domestic and international presence in their respected industries. 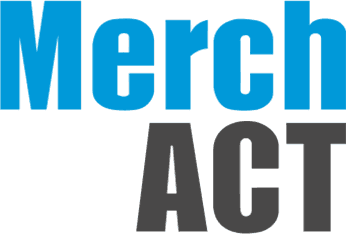 If MerchACT cannot get your business set up with a merchant account, no one can. Our industry expertise allows us to solve any issues you are facing. We will match you with the right merchant bank and offer continuous account support to ensure that your business enjoys the right payment processing solution. We are the leading provider of high risk US and offshore credit card accounts for a reason: We understand high risk merchant accounts allowing you to focus on your business while we deal with everything else. Contact us today to get started. The international market awaits! AM I A HIGH RISK? You operate in a high risk industry such as free trial. Online Payment Processing is not a one-size-fits all industry. Tell us your business model, and let us do the rest.